Not even the llamas are safe from the apocalypse set in motion. Square Enix published the launch trailer before the game's release this Friday. The 2 minute trailer isn't short of the action and thrills the game will offer players once they get their hands on a copy. With Jonah by her side, Lara Croft is seen overcoming the treacherous traps laid dormant in tombs awaiting to be explored. What did you think of the trailer? Are you excited for Shadow of the Tomb Raider? Share your thoughts in the comments below. Nothing short of brilliant. My gaming icon since 1996. Its my most anticipated release of September. I can't wait for this. Not really that excited. Just looks like More-of-the-same Raider, to me, but I'm interested enough to read a review. Well, they certainly saved the best trailer for last! Nothing short of spectacular. Cannot wait for Wednesday! @RogerRoger It comes out on Friday though, doesn’t it? 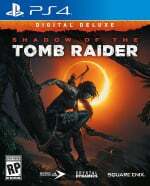 @Th3solution The Croft Edition is available 48 hours early. I won't be starting it until Thursday morning, but I'll have it in-hand Wednesday ASAP. @RogerRoger oh, yeah, that’s right. I was getting the vanilla version so I forgot. This trailer is awesome. I’ve highly anticipated this game. It will be interesting to see the sales numbers. It will certainly suffer from coming out a week after Spider-Man and Dragon Quest on PS4, but the Xbox numbers will probably be really strong, because ... well, there’s only so much Madden, NBA, NHL, and FIFA a gamer can stomach. Will pick it up in the bargain bin down the line. This is the trailer they should have showed earlier, I'm def sold...though dunno if I'll preorder, there's confirmed Season Pass with story DLCs.